According to the Argus fertilizer affordability index, fertilizer prices in March were more affordable for farmers than they have been since July 2018. After fertilizers gradually became less affordable between July and October 2018, after which most prices began to plateau or fall. This has encouraged farmers to plant more grains for this year, boosting fertilizer demand. Prices for urea have gone down for the past six months, and troughed in March, but have since stabilised or increased slightly. 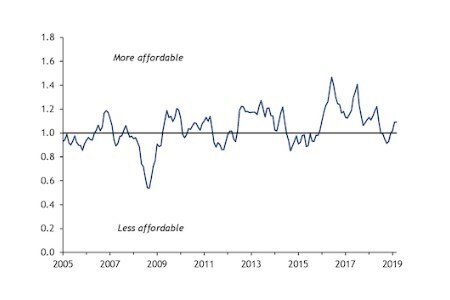 Deferred buying from February and early March helped to stabilise prices, but an increase in US prices in March was the most important driver. The phosphate market has been weak globally as a result of supply outweighing demand. With lower demand in key buying regions dampening the price outlook, potash price momentum slowed in the fourth quarter of 2018. Weather-related problems and low crop prices in southeast Asia, notably for crude palm oil, have prevented MOP prices rising. UN Food and Agriculture Organisation (FAO), the US Department of Agriculture (USDA) and intergovernmental body the International Grains Council (IGC), have forecasted an increase in grain production for the 2019–20 season. The expectation of higher output has led to a fall in crop prices, which hit a low in March. A larger corn planting area is expected in the US, which is likely to increase nitrogen consumption in 2019. The area will rise by 3 million ac. (1.21 million ha.) according to the USDA, as the trade war between the US and China leads to a drop in the soy bean area. In Europe, wheat is expected to find itself in a similar situation, where a larger planted area is expected to lead to higher fertilizer demand. The European Commission's first forecast for the 2019-20 season pushes regional output higher on the year, with production of soft wheat up by 9.5 pc to 141 mn t, compared with the drought-affected 2018–19 crop of 129 mn t.